The key to your own survival in any situation is making sure you have the tools you need to keep yourself and your family safe, fed, and warm. These three things seem very different, but there are actually some tools that you can use to help with all three of these things. One of the best is a tomahawk. The reason is that a tomahawk can help you with all of the needs that your family has without needing a variety of different tools. But finding the best tactical tomahawk is going to require you to do some digging. There are several different things you can do with a tomahawk and that’s part of the reason why you should want one in your survival kit. Anything you put in your survival stockpile is something that you may have to carry with you if, for any reason, you need to leave. That means you want to make sure it’s as light and as versatile as possible. A tomahawk provides you with several different benefits all at the same time, in one tool. That means it’s going to take the place of a few things and you won’t have to worry about all that added weight. The first thing your tomahawk can be used for is your own safety. You can use it to help protect yourself and your family because the sharp edge can easily be used as a weapon. Even when it’s not completely sharpened the heavy weight of the tomahawk is going to make it extremely beneficial for your own protection. 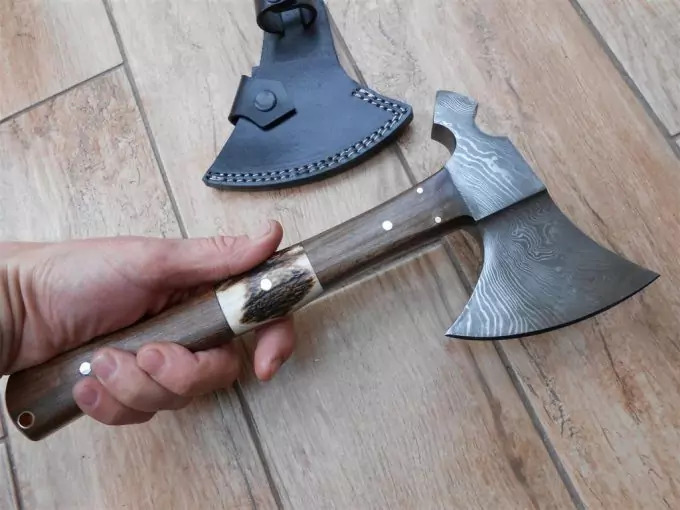 Our ancestors used tomahawks to defend themselves quite successfully, and if you practice with a tomahawk you’ll be able to easily use it in close proximity or even throw it for your own protection. Read our article on how to throw a tomahawk for more information. Though it takes a lot more practice and a whole lot of skill, hunting with a tomahawk is entirely possible. You’ll need to take it outside and practice throwing at trees and other stationary objects before you start trying to hit any kind of game, but it’s entirely possible that you’ll be able to hunt and bring your family food. This can be especially important when you’re traveling and food may not be as easy to come by in other ways. 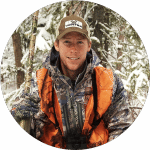 Hunting is going to be an important skill you need to learn, in several forms. Keeping your family warm is going to be another important part of staying safe in any type of survival situation. The best thing you can do is make sure you have a fire and that’s going to require wood. With a tomahawk you’ll be able to chop up any wood that you need easily. Instead of depending only on small sticks that you can pick up from the ground, you’ll actually be able to chop down logs or chop up larger pieces of wood to build a decent fire and keep your family warm and protected from animals. Your shelter is going to be essential to keeping everyone alive, especially in dangerous conditions such as snow, floods or war. 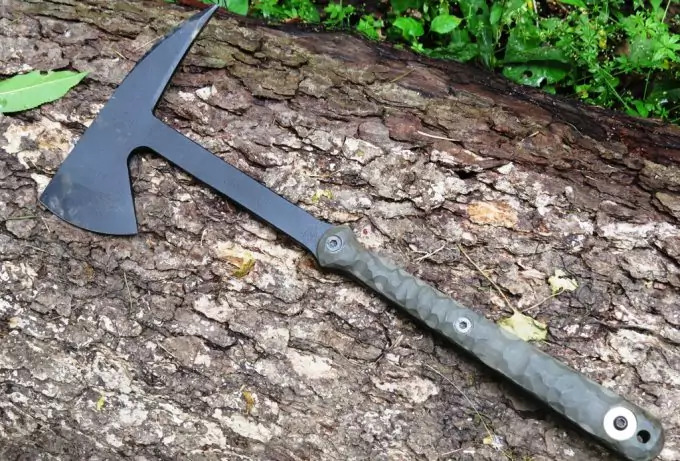 With a tomahawk you can build a more effective shelter because you have the tools necessary to cut down trees to build with or to cut apart other materials you might want to use. No matter how you choose to build your shelter you’ll have a much easier process of it with a strong and large cutting tool. A tomahawk, because of its similarity to an axe, is definitely able to help with this. 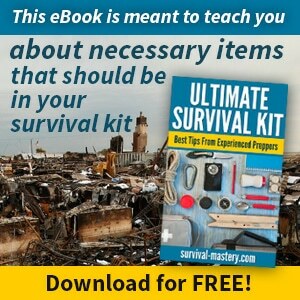 See our post on the best survival gear for more options. Tomahawks are made of many different materials to ensure their versatility as well as their weight and use. 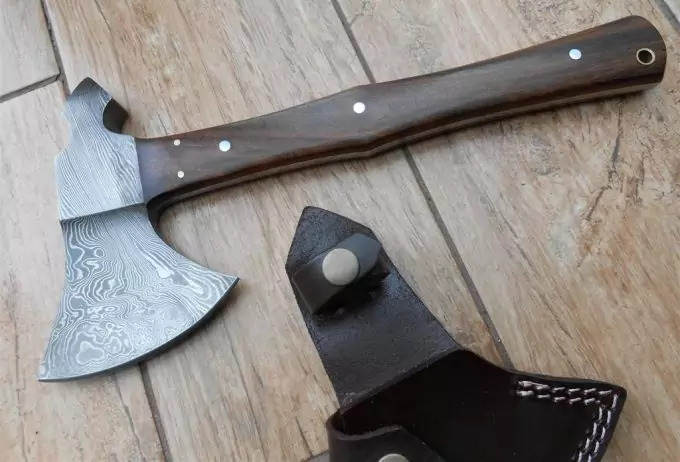 You want to make sure that the tomahawk you choose is made with high quality materials that are going to hold up to the general wear that you put on it. You want to make sure it’s going to last and also that you’re going to be able to sharpen it over time, as it will start to get dull through continuous use. These aspects are going to depend on the type of material it’s made of. Generally, a tomahawk is going to be made with some type of high quality steel. This ensures that it’s not going to rust and also ensures that it’s going to last a long time, no matter what you do with it. Steel is generally easy to sharpen, even with a variety of different tools, and it’s going to give you an extremely sharp, thin edge that you can use for just about anything including cutting a variety of different materials. This makes it extremely versatile and high quality. Traditional tomahawks are made out of stone and are sharpened and whittled to create the traditional look and style. These tomahawks take a lot of time and effort to make and they are never going to be exactly the same because they are carved out individually. This means there can be some natural defects in the stone itself and there’s also a higher possibility of the stone chipping. The thinner and sharper you make the blade the easier it is for that blade to chip. That makes it important to watch these types of tomahawks closely if you’re going to use them. When you decide to purchase a tomahawk for yourself you want to make sure you’re getting something that is going to last and that’s going to require some careful study. You want to make sure you’re looking at the right aspects and also that you’re considering several different options before you decide on anything, after all, you’re going to need it to work in your specific situation. Don’t get something just because other people say it’s great if it’s not meant for your purposes. Only you can really know what you need or want for your family. What the tomahawk is made of is going to be extremely important. Most are going to be made with steel, but make sure of that before you buy anything. 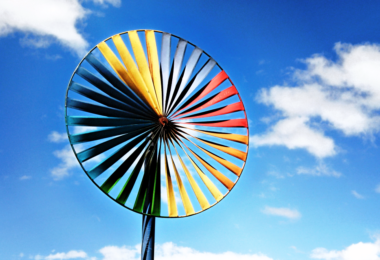 You don’t want something that’s going to be flimsy or will break easily. If you get an old-fashioned style tomahawk that’s made with stone you may be able to get something that will last better. But make sure you get a chance to test out whatever you choose so that you know how well it’s going to work and how well it’s going to last before you’re depending on it for your life. You want the handle of your tomahawk to be high quality as well. That means it should be made of something sturdy that can easily withstand the weight and use that you’re going to put it to. 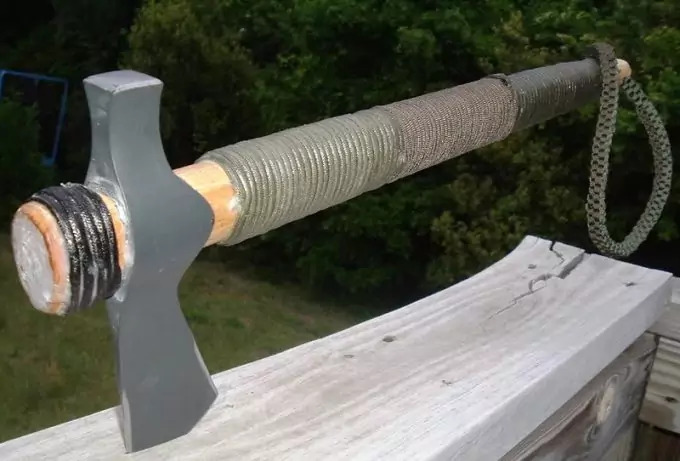 You want to make sure that you are going to be able to keep the original handle for as long as you keep the rest of the tomahawk. More traditional types are made with wood, but make sure it’s a sturdy wood and not one that’s easily bendable or susceptible to rot. Another option for the handle is a polymer or other manmade material that’s sturdy and secure. The weight of your tomahawk is going to be extremely important as well. First, you want to make sure that the whole thing is light because you need to be able to throw it or move it easily, but you don’t want it to be too light that you’re not going to be able to easily control it. Make sure you have a good balance between the blade and the handle as well. That’s going to keep it steady when you’re trying to cut or throw. This is going to require you to try out the tool before you buy. You want to check how the blade and the handle are connected. This is going to be extremely important whenever you need to use the tomahawk because you never want to swing it and the blade comes off. That’s not only extremely dangerous but it means you now have no tool as well. The blade should be connected deep into the handle either built in from the back or the bottom so you know they won’t come apart and there should be some type of connector to keep them solid. Make sure the two pieces don’t feel loose or like they will twist apart. You want something that will work for anything you need but that isn’t going to take up too much space in your tactical gear. 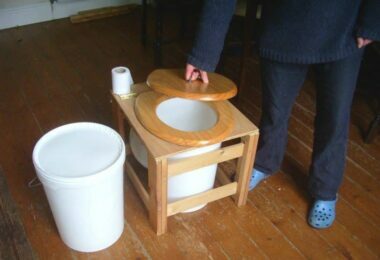 That way you’ll be able to stow it away easily and use it easily but you won’t have to worry too much about not getting the pressure you need when you’re chopping wood or hunting. Too small won’t be useful for much or will take too much time to be useful. Too large will be difficult to carry and wield when you need to use it. 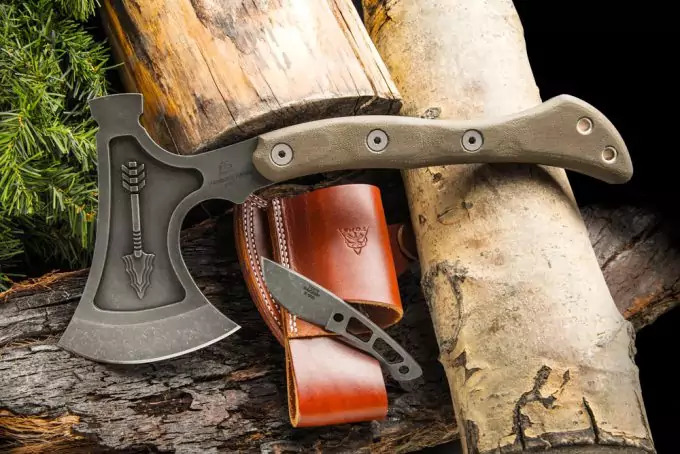 A traditional tomahawk has a more ergonomic grip, because it’s carved from wood, but the tactical or combat tomahawk will generally be made with different materials. This means that the grip is going to be different. You won’t get the same ergonomic fit, but you want to make sure you get something that will keep your hand from slipping. Remember, there’s something with a sharp edge at the other end of that tomahawk and you really don’t want your hands to be sliding in the rain, snow or just because you’re sweating. It could be disastrous. Look at the end of the tomahawk you’re buying as well. Some are flat on the end, like a regular hatchet or axe. Others may have a pointed end that can be used as a combat tool or as a pick axe when you need one. See our article reviews on the best camping hatchets for more insight. The ones with extra features can be even more beneficial for you when it comes time to head out on your own in a tactical or combat situation. Make sure you consider that. Also consider, however, that you will have less flexibility on how you use the tomahawk if you can’t grip the back because of these added features. Make sure you’re always using the right type of tomahawk for anything you do. The best of the best are going to have some great materials all the way throughout and they’re going to be just the right size and weight. But there are plenty of options out there and it can be difficult to figure out exactly which ones are going to be the best, so make sure you’re checking out these options that have some of the best quality and a reasonable price range as well, so you can be prepared. This is an extremely well-liked option that has a very low price as well. You’ll be able to use it for a variety of different purposes including clearing obstacles and brush or hunting if needed. The handle is made with glass-reinforced nylon for stability and longevity and has a traditional grip at the base to make holding it much easier. The head is made with stainless steel and is approximately 2.75 inches while the entire piece is about 15.75 inches long and weighs only 24 ounces. Comes complete with a lifetime warranty. Because of the size and weight it’s great for any tactical bag and it can easily be thrown for hunting or protection. This is one of the smaller size options available, but that doesn’t mean it doesn’t have some power behind it. 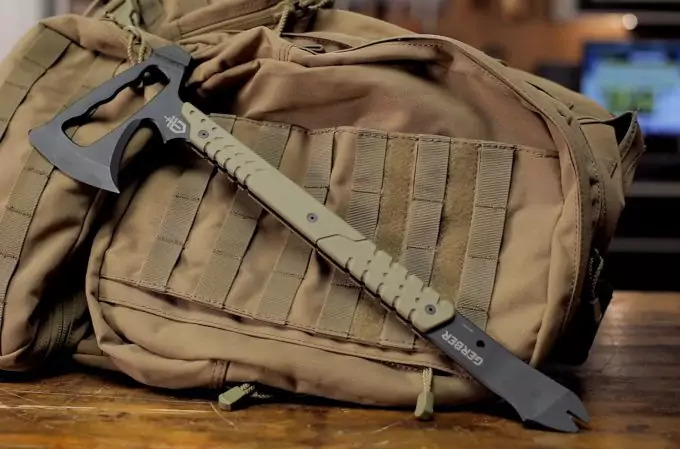 It’s designed for tactical operations which means it’s meant to go through doors, blocks and just about anything else you might need while still maintaining a good, sharp edge. You can easily sharpen it back up if the blade does dull as well. Because it’s not a full tang you do get a little top-heavy action from the blade itself over the handle, but this can still be used to an advantage. This tomahawk is moderately priced and has a large blade size at 8 inches. Along with the regular blade, this one features a pick axe style tip on the back which is also extremely sharp and capable of cutting easily. The overall length of the piece is 15 ½ inches and it comes with a compass to keep you traveling in the right direction, even if you need to cut your way through the brush. The handle is made with 30% fiberglass and nylon while the blade itself is made with stainless steel to prevent rusting and stay sharp. Weighing over 2 pounds, this is a slightly heavy option, but it’s able to more than make up for that in other features. 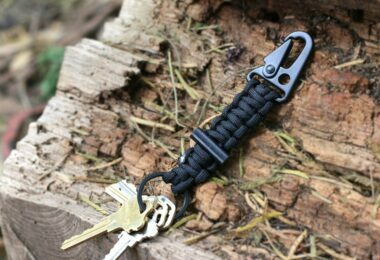 It’s wrapped all the way around the bottom section of the handle with about 10 feet of paracord which provides you with an excellent grip when chopping or throwing but also ensures you have rope just in case you need it while you’re out in uncertain conditions and situations. 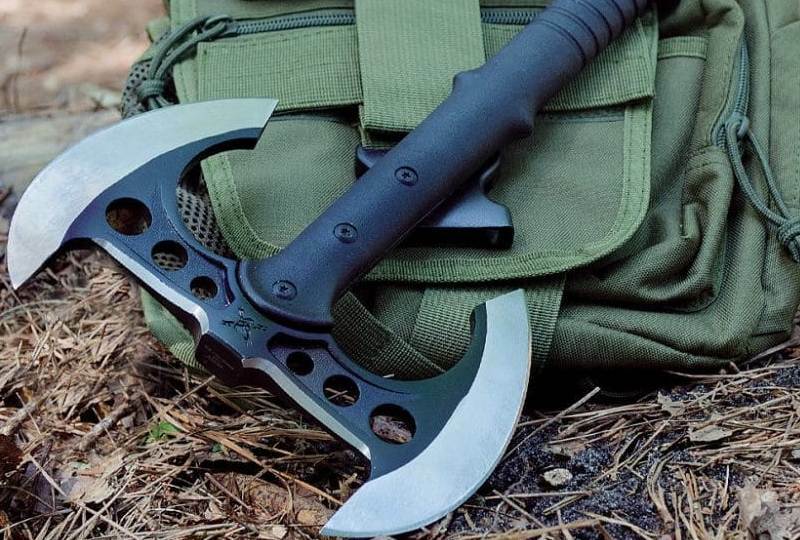 Small in size, this tomahawk is designed in the USA and has a durable form as well as capabilities. It’s moderately priced and weighs just over 2 pounds, which can be a little heavy for some who are using it for tactical purposes. Smaller than other options, it’s only a little over 13 inches long and the blade is about 9 inches and made with high carbon 1055 tool steel. The form is very similar to a hammer, with the entire top section, containing the blade and spike, formed of one single piece of metal that is coated with the handle material. The handle is wrapped in paracord so you will always have some on hand just in case you need it for anything. You’ll also have no problem with quality with the full Browning warranty behind this blade as well. It’s easy to throw because of the moderate weight and the build so that the top and bottom are not heavier than one another. This also means that you can easily use it for any other purposes you might have. Easy to sharpen and free from rust, this blade can cut through just about anything. This interesting option is priced higher than other alternatives but it has several different features that other options don’t. Made in the United States, it contains a hammer head and pry bar along with the traditional blade. The body is made with steel, while the handle is covered with a tan colored material that provides a stable grip. This is designed for breaching anything that might come in your path and the blade is strong enough to do just that with no problems. If you need something else however, the blade actually has a handle straight through the center that allows you to grip and use the pry bar at the end of the handle. On top of all that the top of the tomahawk can easily be used as a hammer to provide even more force. At less than 2 pounds in weight, this is definitely a good option if you want an all-in-one type of tool. It’s over 22 inches long, which means it takes a little bit more to store, but it can be used for a variety of purposes. You can easily sharpen the blade to ensure that it’s ready for anything you need to get through, though it’s not as well build for throwing. 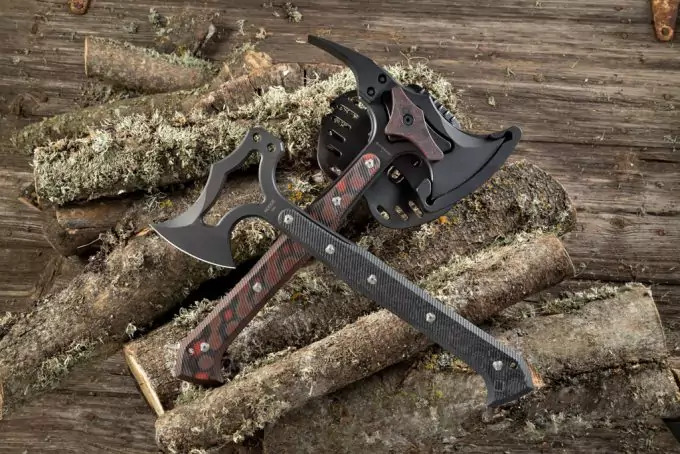 Moderately priced, this tomahawk has an axe and spike on the head and a long handle that features easy-grip ridges all the way to the top so you can hold it the right way for any task. 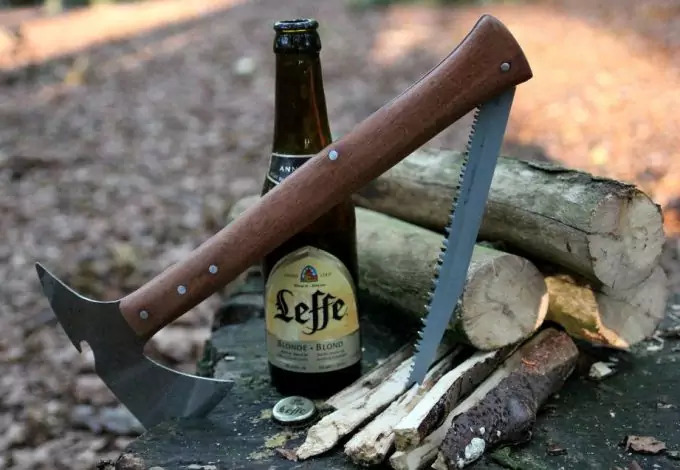 The entire tool is made with a single piece of steel that helps it to balance easier and it’s nearly 14 inches long, to make it easier to use for just about any task, from throwing to cutting pieces of wood or even hunting. Available in two different colors as well, it weighs about 2 pounds, which makes it slightly heavy for carrying around but the capabilities make up for that. It also features three slots to add attachments so you can easily carry around other tools as well. Made of carbon steel, the handle is made with glass reinforced nylon and the sheath is sturdy with Molle compatible Kydex. It has an additional gear strap and has a lifetime warranty so you don’t have to worry about anything. You can use paracord to attach it easily and you’ll be able to pull it in and out of the sheath quickly and easily as well. In all, there are plenty of ways that you can use a tomahawk. The key is just making sure that you pay attention to those tasks before you buy one. Make sure that you look at all the different ways that a tomahawk can be used and then look at all the ways that you might want to use yours. If you don’t need it for some purposes you may be able to choose different options instead. 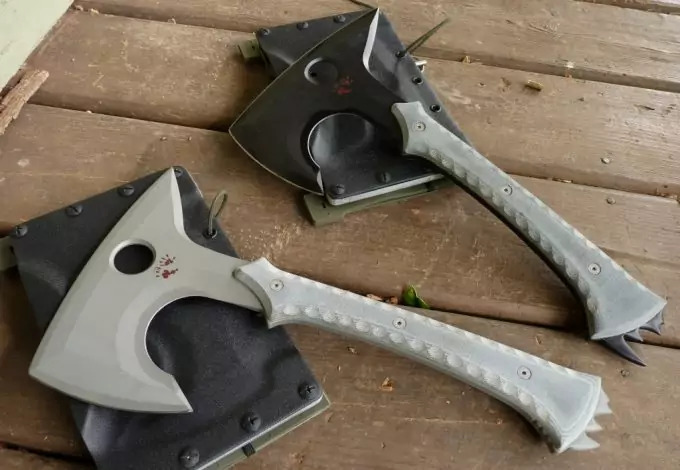 For example, if you don’t want a pick on the back of your tomahawk you can get a flat sided option that may work better for other things instead. All-in-all, you just want to make sure that you pick something you’re going to be able to use. 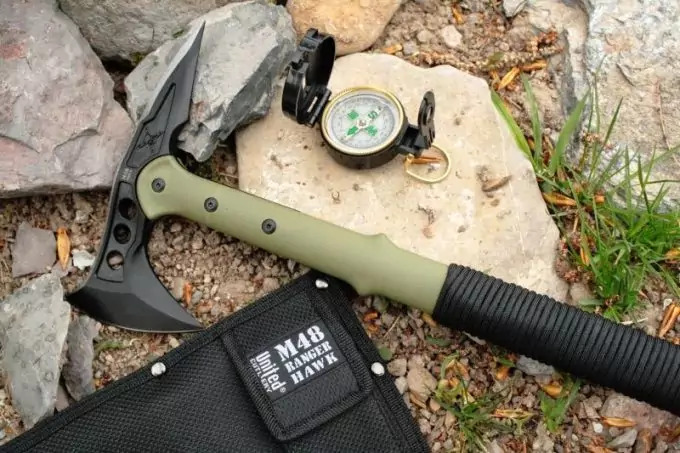 There’s not a lot to the process, but when you’re out there in the middle of who knows what, the right tools could mean the difference between life and death and the best tactical tomahawk is going to be one of those great, and all-important tools. Don’t forget about it and definitely don’t underestimate the importance that it has on your success. Especially since it helps you with everything from protection and shelter to fire and hunting. Check out our piece on the best tactical hatchets to help you survive in the wilds.